Hydrofracking is a safe/chemical-free method for increasing the flow of water deep below the ground. Injecting highly pressurized water into bedrock through an existing well can flush away fragments that have become lodged in bedrock fractures. The intent is to yield increased water flow and produce more productive water-bearing fractures supplying water to the well. 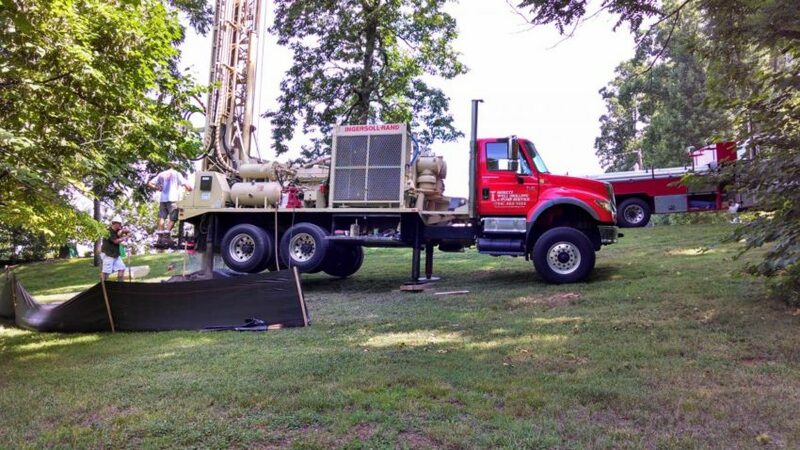 Hydrofracking has become a preferred method for increasing a well’s yield. Thus increasing the amount of water the well is capable of drawing over period of time. It’s not unusual for a bedrock well to see a drop in its water yield over time. Sometimes debris, such as rock and gravel, get moved by the water flowing through bedrock fissures deep below the ground. If this debris gets lodged in a fissure feeding the well, it can reduce the well’s yield and eventually result in an interruption in flow. Hydrofracking can also be used on newly drilled wells with inadequate water yields for the home. By opening up existing fissures, hydrofracking can create ample flow for the new home.